Lisa McCluer teaches piano from her home in Overland Park, Kansas. 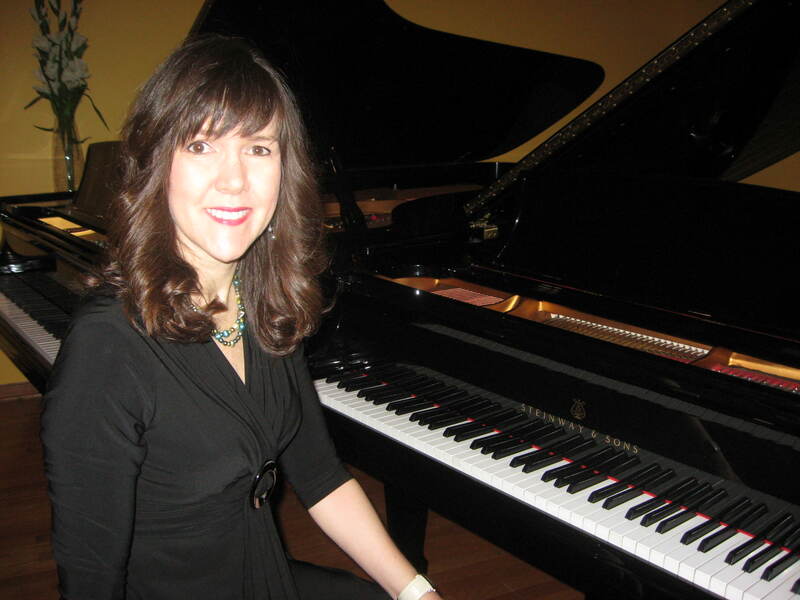 She received her Bachelor of Arts in Music – Piano degree from the University of Kansas, and also has a strong background in Music Education through Bethany College and KU. She has over 20 years of piano teaching experience, and continues to educate herself through the monthly workshops through the Kansas City Music Teachers Association, Music Teachers National Association Conferences, and Kansas Music Teachers Association Conferences. Lisa currently serves as Corresponding Secretary for the Kansas City Music Teachers Association and has previously served as President, President-Elect, Vice President of Multi-Piano, Hospitality Chairperson, Recording Secretary, Vice President of Achievement Auditions, and Registrar. Lisa has a p assion for teaching piano and wants her students to succeed and develop a lifelong love of music. She strives to inspire creativity and musical passion in each student, and to help each reach their full potential. Lisa feels it is important to establish a relationship with each student, and to appreciate each student’s unique personality, learning style, and gifts. She is constantly gaining fresh ideas and creative approaches to keep student's interest and to make lessons fun and rewarding. In 2017, Lisa was honored to receive a Steinway Top Teacher Award from Schmitt Music. Lisa has performed in praise and worship bands, musical theater productions, weddings, recitals and many other venues. She has also done accompanying for vocalists and instrumentalists. Her students have consistently achieved high ratings in events such as Fall Festival, Achievement Auditions, and District Auditions, and have also been chosen to perform in the Achievement Auditions Honors Recitals. Some of her students have gone on to major in music and teach piano.